LightingShrink Professional Anti-Fire lighting Connectors solves the emerging problem of low voltage, Landscape & Garden lighting Connections from Melting and Burning. Designed and Process Patented by Jeremy Sviben. Jeremy is the founder and lead Designer of Botanical Lighting founded in 1993. 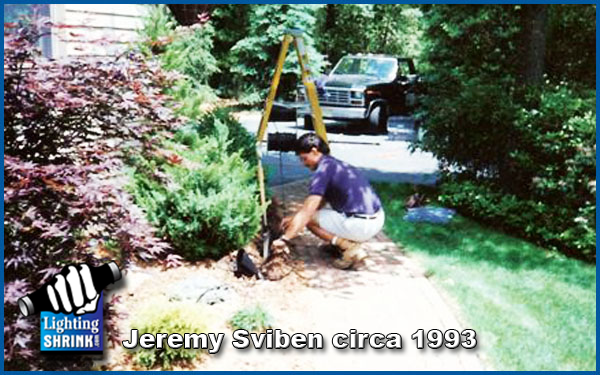 Jeremy and his family have a 45-year history of electrical contracting in the Northern climates of the United States. After Jeremy and his Botanical Lighting teams could not believe they were seeing low voltage lighting fires they have been testing and retesting lighting connections in the field for the past twenty-five years. Botanical Lighting Teams service over 16,000 fixtures per season and check lens for cleanliness, aim, vegetation, sockets, lamps and connections. Using LightingShrink Anti-Fire Lighting Connections and its Process-Patented System with the Field-Tested LightingShrink-Ratcheting Crimping Tool and Proven Heat Shrink solves the emerging problem of burning lighting connections with fast, consistent and permanent connections. LightingShrink does not private label or sell to any connection or lighting manufacturers.